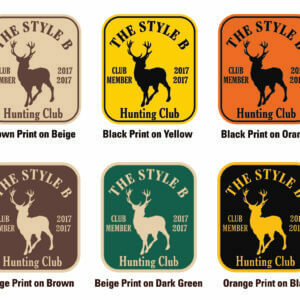 This is our Style C Hunting Club Sticker. 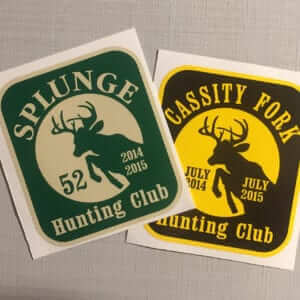 The Buck Leap sticker features a bold new design and is quickly becoming a favoite. The size is 3″ high by 2.6″ wide. We just need the CLUB NAME (all CAPS work best for that) if that’s all you want, but you can fill in the additional optional infomation for Club Year Dates, City or Location, or any other information that you might want on the left or right sides of the sticker. 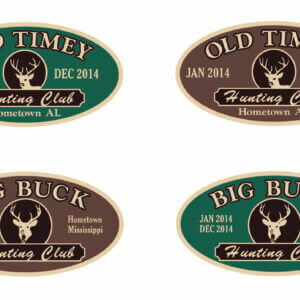 These stickers can also be numbered if you need a way to keep track of club members. 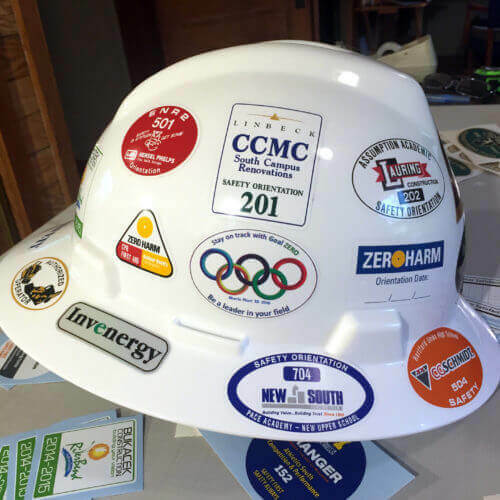 These stickers will stick to windows, bumpers and other non-porous surfaces and are good for 3-5 years of constant outdoor use, so you can use them on your truck, car or atv.